Littlemore is blessed with a rich vein of talent. This book is a journey through the seasons of the year and also through the high days and holy days of the Church. In the company of saints present and past, we travel from Advent Sunday to Advent Sunday, looking for the Kingdom of Heaven and reflecting on the many ways in which God’s love reaches out to embrace and transform the world. Interspersing prose with poetry, this is a book to read slowly and reflectively, stilling our minds to the rhythms of grace and opening our hearts to the peace that passes all understanding. All Christians share a mission: to be a channel for the Holy Spirit’s outpouring of God’s reconciling love into the world. Combining spiritual insight from writers down the centuries with moving (and often humorous) contemporary stories, Every-Person Ministry provides real encouragement to engage in practical ministry, in our own lives. – now available on DVD! 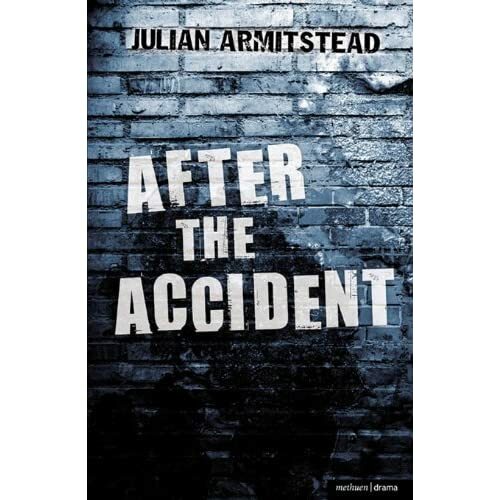 An award winning play by Julian Armitstead. Four years after the death their six year old daughter in a collision with a joy rider, JIMMY and PETRA decide to meet LEON, the teenager responsible. Published by Methuen, After the Accident won the 2008 Amnesty International ‘Protect the Human’ playwriting competition, and was broadcast on BBC Radio 4 for the Friday Play in 2010.